Is a partnership between fpcw, Sukkat Shalom, Congregation Hakafa and First Congregational Church Wilmette who, as people of faith, are responding with God’s love and welcome as refugee families make new lives in the Chicagoland area. For more information, contact Rev. Erin Raska. The mobile truck is the missing link that unites an abundance of North Shore resources with under resourced refugee families, as they continue to build sustainable and thriving lives. Food stamps don’t buy necessary, everyday items such as soap and laundry detergent. 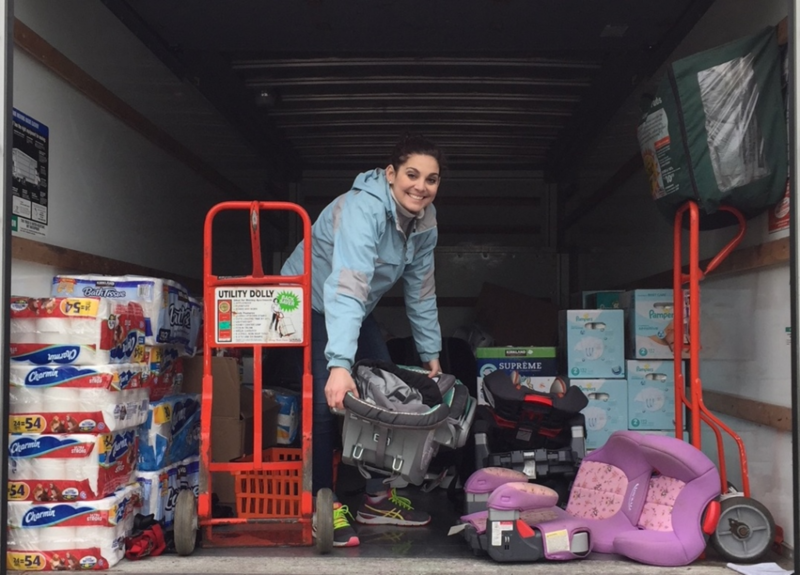 On the fourth Wednesday of each month the truck will deliver these helpful items to the Indo-American Center where families can select needed items. Please donate: Diapers, toothpaste, toothbrush, body lotion, shampoo, hand and body soap, feminine hygiene pads, dish soap, laundry soap, and all-purpose cleaner. If you would like to make an easy online donation go to the MyRegistry link. In addition to donations, we need volunteers to help sort the donations and help load the truck one day per month, and be a host on distribution day from 8:30 – 12 at the Indo-American Center. To volunteer your time, sign up here. Please click here to check out the Stock the Shelves website to learn more about how you can volunteer, donate and help support this important mission.